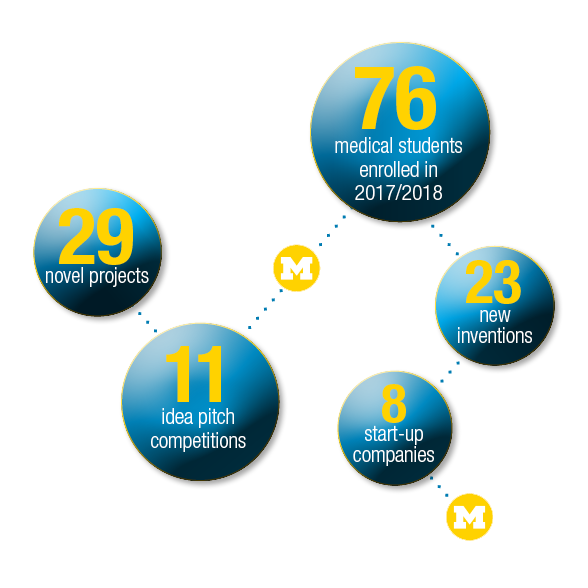 The Innovation & Entrepreneurship Pathway of Excellence at the University of Michigan Medical School gives medical students a unique insight into the rapidly expanding culture of innovation and entrepreneurship in biomedical research and medicine. Supported in part by Fast Forward Medical Innovation (FFMI), the path offers firsthand experience on the innovation process leading to new biomedical devices, diagnostics, therapeutics, health IT, service line improvements, or policy advances. Other collaborators include U-M College of Engineering, U-M Medical School, Zell Lurie Institute, U-M Office of Tech Transfer, and U-M Ross School of Business. 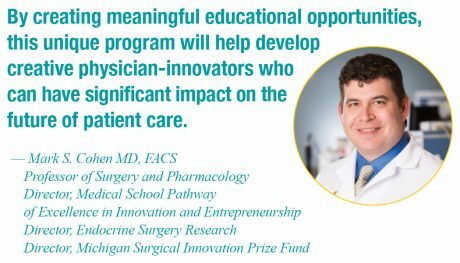 For students who are passionate about improving patient care through innovation, the Innovation & Entrepreneurship Pathway of Excellence provides the resources, perspective and exposure to make an impact. 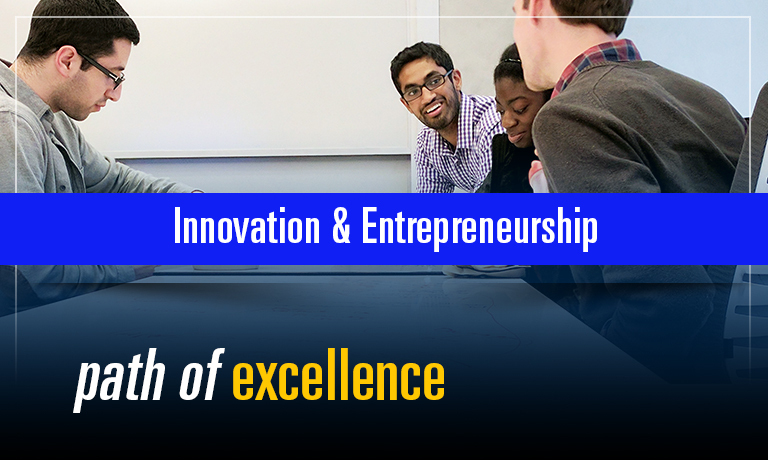 How Does the Path of Excellence: Innovation & Entrepreneurship Work? Innovation and Entrepreneurship Pathway of Excellence welcomes all medical students at any stage in their training. For any questions or to sign up, get in touch with Candice Stegink, Program Coordinator at cstegink@umich.edu or 734.615.7476.